Get pumped up as the biggest slip and slide event in the country becomes even bigger! 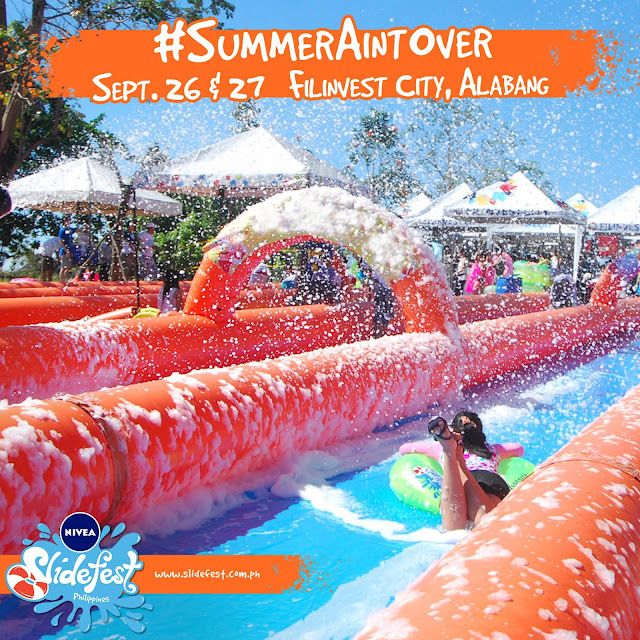 A super-soaked summer, as Slidefest Philippines is coming to Filinvest City, Alabang this September 26-27, 2015. The Country’s Biggest Slip and Slide Event partners up with the most caring sun protection, NIVEA SUN, to give you NIVEA Slidefest! Just looking at this waterslide makes one feel refreshing and exhilarating, right? Expect a worry-free fun under the sun as you slip through clouds of foam in the biggest slide in the country! 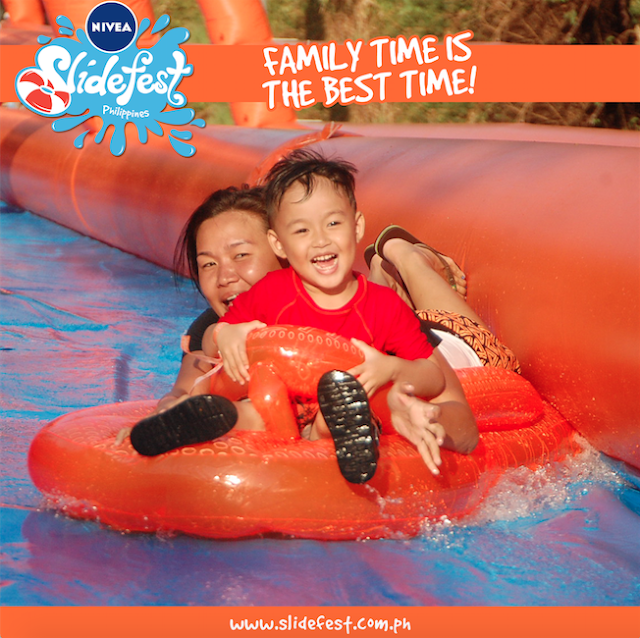 As NIVEA Slidefest gets ahead of the water slide game, you get to enjoy the exciting new inflatables and fun booths NIVEA Slidefest has to offer. The massive amount of slick vinyl will surely brighten Filinvest City! It will be the biggest slip-and-slide that you’ve ever seen. And the fun doesn’t stop at sundown as NIVEA Slidefest turns into a giant party with performances from the hottest DJs in the country such as DJ Nina Saputil, DJ Kat De Jesus, DJ Migs Santillian and DJ Marlo Naval. NIVEA Slidefest is a family-friendly slip and slide water party event. There will be music and food. Re-live your best summer moments with the 1000-meter waterslide this September. Even if it is cold and rainy then, we’ll pretend it is warm and sunny and do it anyway! Visit www.slidefest.com.ph for online registration and payment. In any season dry rides make so much fun. But in summer water slides is the best way to making fun. In water slide game kid's and adults both can play together.